Sabbir Khan knows how to direct movies. He gets the tone of Munna Michael right too for the most part but it all starts feeling a little predictable as dance set-pieces make way for action scenes and then he repeats the same cycle throughout the length of the movie. It gets tiring after a while but the comedy elements keep it going. It is a fun watch when the dancing sequences between Nawazuddin and Tiger take place. Munna Michael loses momentum after the second half and then picks up pace right before the climax. The climax is good but it nothing unique or exhilarating. That only means Sabbir Khan has delivered a good template movie. The writing of the film is a major letdown. It seems that the scriptwriter (Vimmi Datta) didn’t have much to offer after a point and took the predictable, clichéd route. While the first half has action, dance and a little bit of romance, the film switches track in the second half as the drama shifts to the sets of a reality show. This switch however is not seamless. Vimmi’s dialogues however are decent. It is praiseworthy that director Sabbir Khan is making masala films at a time when more and more filmmakers are jumping into the realistic cinema bandwagon. Also, getting Tiger and Nawazuddin together is a masterstroke. But at times the proceedings on screen are unconvincing. In the midst, there are scenes that are genuinely funny, action scenes that will excite the viewers and songs that are foot tapping. However, a better script could’ve gone a long way in gelling all these elements together for a great masala entertainer. With Tiger around, filmmakers normally do not bother finding a script. Instead they just coast along joining the dots of a routine story with neatly-choreographed songs and fights at regular intervals. You can almost record screen proceedings with your stopwatch because after every 15 minutes, there is a–song, fight, song, fight and some more blah. if all you want to see Tiger Shroff dancing a lot and Nawaz being, well, Nawaz, then Munna Michael may be fleetingly entertaining for you. Otherwise, it is just a boring, confused masala flick masquerading as a half-hearted tribute to the late Michael Jackson. Munna Michael has nothing original or novel on offer. Tiger Shroff’s range as an actor could fit into a single-toned miniature – you don’t need to see Munna Michael to come to that conclusion. It only serves as a reminder. The film follows a simple formula: Tiger dances when he isn’t fighting and he fights when he isn’t dancing. Why can’t the guy just make up his mind whether he wants to be Michael Jackson or Jean-Claude Van Damme and stick to using either his nimble feet or his electric fists to make his point? In seeking to do both with equal gusto he falls between two stools, carrying the film with him. The plot definitely had promise and there was so much that could be done with it, but the poor execution, the weak screenplay, the bad performances and the heavy dose of masala contribute to make the film a dud. Despite this, the first half of the film was slightly entertaining, especially the sequences between Tiger and Nawazuddin. But post –interval, the film stretches unnecessarily and tries to be an ‘ABCD’ wannabe. Despite the lack of star power, ‘ABCD’ was an amazing movie and had struck a chord with everyone, but sadly enough, ‘Munna Michael’ proves to be a disappointment for fans of dance flicks as well as fans of love stories or comedies. Director Sabbir Khan, who also helmed Shroff’s debut Heropanti (2014) and later, Baaghi (2016), knows his lead’s strengths and how they could be deployed to cover his script’s holes. Despite a wafer-thin story, Khan leans on the tropes of masala films by leaning on silly humour, neck-wrenching action sequences and dance moves that defy gravity, to make the two hours twenty minutes you spend watching this film, not entirely unbearable. Tiger Shroff is getting better with every film, but he does not need a dramatic pause in that one signature dialogue he gets to say in every movie. Thankfully there is no ‘Hero’ flute music playing as he makes an entry into every scene. Small mercies. Nawazuddin Siddiqui does an awesome imitation of Christopher Walken doing the dance to Fatboy Slim when he finally tries to persuade the girl to become his. That, and the rest of his role earn this film the stars. Tiger steals the show with his dance moves and action sequences, but unfortunately that’s not enough to make him the saving grace of the movie. Nawazuddin Siddiqui, who plays an adamant lover impresses with his comic performance. A great performer like Pankaj Tripathii is totally wasted in the film. He is good in his part but he surely doesn’t deserve small roles like this. Ronit Roy is just about okay and last but not the least, newcomer Nidhhi Agerwal is awful. In the entire film, she tries to ape Deepika Padukone. Her dance moves, attitude and even her dresses will remind you of Deepika Padukone. Her introductory song Shake Kara itself is a bad rip off of Deepika’s Lovely song from Happy New Year. A wasted opportunity at best, Munna Michael sponges off plot points from countless movies about romantic triangles, khiladi-anari chemistry, small-town ambitions, obsessive lover-boys, BFF betrayals and dance competitions till it resembles a recycled mess that’s neither dazzling nor droll. Director Sabbir Khan teams up with his lucky mascot Tiger, and tries every formula that made Heropanti and Baaghi work at the box office. But the third time around, we’re not so impressed. Munna Michael might make Tiger Shroff’s fans happy, but for the rest, this week’s other releases, Dunkirk and Lipstick Under My Burkha, are more worthy of your time. But we forget that sitting next to Mahindra at all times is the shaven-chested, curly-blonde-hair-spouting, shirt-less and hat-clad Tiger Shroff a.k.a Munna Michael — a hero as Bollywood likes them. Munna will dance, Munna will fight, Munna will dance and fight together, Munna will love his father wholeheartedly, Munna will serve Mahindra unquestioningly, Munna will win over the local beauty, and Munna will win all the dance competitions he enters, across cities. Whatever the story is. The film, in entirety, lacks any logic and coherence in its plot. The story is predictable and will often have you looking at your watch. After Baaghi and Heropanti, the filmmaker continues to maintain a routine formula – zilch story but plenty of action and dance sequences. But sadly, even the dance sequences aren’t worthy of much and the action scenes are only forced testaments to Munna’s tag line Munna jhagda nahi karta, Munna sirf peetta hai. Thus, it falls upon Shroff to shoulder the responsibility of handholding the film till the end. His spectacular dance moves will leave you spellbound, which is probably the intent of this venture. The best way to relish this film is by arranging your expectations of it. Let’s get real – there is no novelty to what plays out. There is some fun to be had if you have interest in either action or dance, or both. Siddiqui’s comic relief is a cherry on the top. But the real treat here is Shroff, who has mastered the genres of dance and action in this industry. His fans are going to have one helluva time at this freak show. Others, avoid! The only thing that gives some credibility to the film is Tiger Shroff’s undeniable energy, his boy like charm and of course his incredible dance moves and stunts that makes him stand apart and a favorite amongst kids. He is thoroughly enjoyable and gives his fans moments to whistle and cheer. 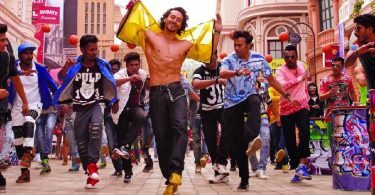 If rated by Tiger Shroff’s dance and action moves alone then MUNNA MICHAEL scores 9 out of 10 but as a film it struggles to get even passing grades. Director Sabbir Khan’s debut film ‘Kambakkht Ishq’ was a horrible film and ‘Munna Michael’ ends up in the same list due to its stale subject, weak presentation and terrible performances. As an actor there is not even a single percent growth in Tiger Shroff. Nidhhi cannot dance nor has a good screen presence. There are no expressions on her face. Ronit Roy and Pankaj Tripathi were highly wasted. yeh to hona he tha.. Just repeat and repeat. Same dancing and action with pathetic acting.